Summer is here and we are excited to see how God will work in the lives of the children during Vacation Bible School and our summer events. It is time for you to get your "Game On" by joining us for Vacation Bible June 24-29, 2018. Learn that in Jesus, we have everything we need to live a joyful life that honors God. We are looking forward to all the activities that we have planned for Terrific Tuesday. The sign-up sheet with time, cost and details will be posted two weeks ahead of each event in the Church vestibule or you can call the church office at 803-796-8110. Below is a tentative schedule. We look forward to seeing you there! 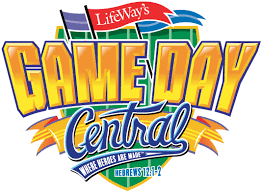 June 26th VBS "Game On"
We will have games each Saturday until May 12th (except April 7 = Spring Break) starting at 9:00am and 10:00am. You are invited to join us for the fun of the game but also to build some relationships with the parents and grandparents. God may have a divine appointment for you with a family that will bring them into a true and right relationship with Him. 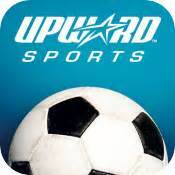 Each week, the Upward players will be awarded “stars” for their playing and being a part of the team. Maybe we should award “stars” at Springdale for the same categories! Upward is a team sport not only for the soccer players but also for the church members! I look forward to seeing you on the “field”!